Children will have a blast exploring shapes and putting them together to make a picture. And while they may think they’re simply playing, they’re actually learning about shapes, patterns, symmetry, problem solving, following directions, and more! A great way to give children a head start in school! 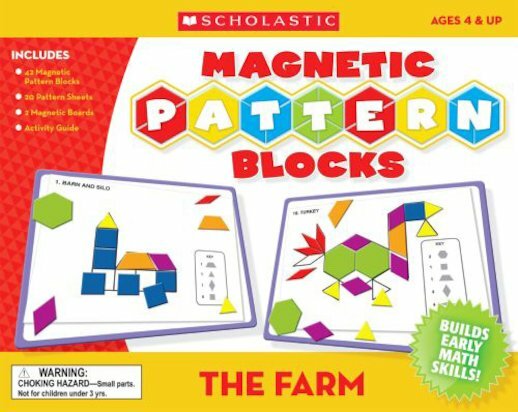 Includes 42 magnetic pattern blocks, 10 double-sided pattern sheets, 2 magnetic boards, and activity guide.